Stress is something that must be relieved. We know this for a fact. Stress is a contributing factor for a wide range of diseases, from heart diseases to hypertension to strokes and the list goes on and on. In fact, stress is one of the main ills of our modern society. But the question is, how do we fight it effectively? Classical methods exist for stress relief, starting from taichi to yoga to zen meditation. The drawback to these methods is the amount of time, energy and effort required to learn them and the protracted period of time till they start to really relieve stress. We can use android smartphones to try to fight stress, but the normal methods, games and media consumption aren't really that effective because generally games do not act as stress relief and consuming media, such as relaxing music or even movies can only act as momentary stress relief that doesn't translate to better handling stress later on, when we return to work or to our stress causing situation. 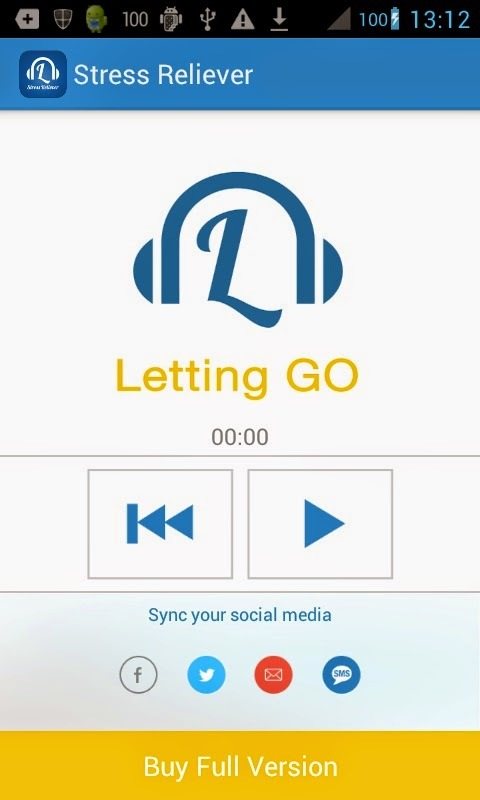 We would like to introduce Stress Reliever - Letting Go, an app designed to use our constant personal helper - our own android smartphone. Stress Reliever - Letting Gois fairly simple, though the principles it is based on are anything but. To useStress Reliever - Letting Go , one simply has to activate it and listen to the silken voice of Tod MacLaren as he outlines the hypnotherapeutic techniques. Is it effective? Does Stress Reliever - Letting Go really work? To make Stress Reliever - Letting Go work, the idea is to listen to the app for half an hour every day for a month. Whether it is because of the hypnotherapeutic techniques of Hypnotherapist Dolor Söderbom, or because of the magical voice of Tod MacLaren or just because taking a break from the rat race is enough to work wonders, we discovered the app works for those willing to try it. To sum things up, trying the hypnotherapeutic techniques of Dolor Söderbom is as simple as downloading Stress Reliever - Letting Go app and giving it a go. And taking into consideration the benefits of stress and tension relief, it is well worth a try.